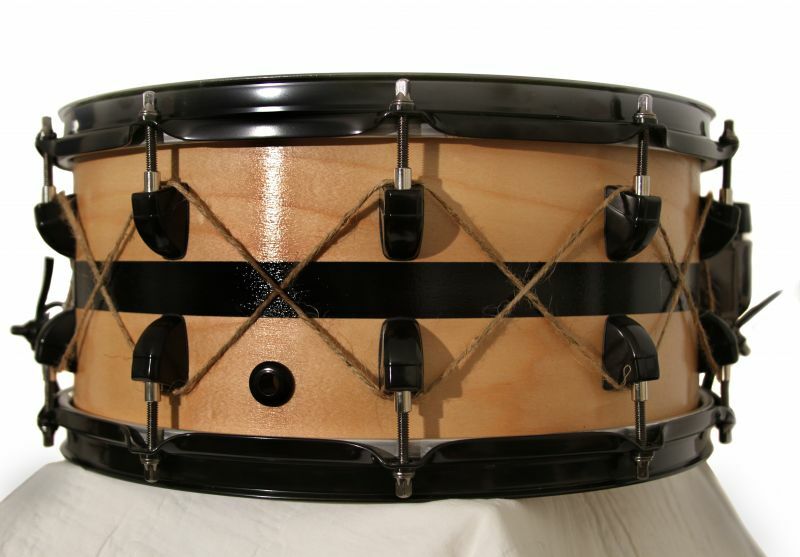 5 Tips for Spray Painting Drums – #4 Blew Me Away! 1. Avoid runs at all costs. When you spray too close up for too long on any surface the paint will run because it is being applied to thick. Runs in the paint look extremely unprofessional. The only way to get them out is to either, wipe it clean and start over while the paint is wet, or wait until it dries and sand it down. When you use spray paint in a garage, even with the door open, the paint particles will settle on anything and everything in your garage and create a fine dust like layer of paint on anything uncovered. Unlike custom mixed colors from a specialty paint store, spray paint can almost always be returned for a full refund if you get too much paint! I used to by the cheapest spray paint possible, thinking that I would save money in doing so. I was very wrong. I “splurged” the other day and bought an Ultra Cover can of Rustoleum, and was blown away with the results. I only made 2 passes at the drum and it was completely covered. When I have used other regular spray paints in the past they have taken multiple cans of spray paint to cover it completely. Studies have shown that inhalation of paint fumes can lead to asthma and cancer. No one wants that. Get a mask . Phil, not to knock what your trying to do but if you use these paints and then coat with lacquer you will have a ton of problems later with the lacquer cracking etc. DO NOT RECOMMEND to users based on your limited experience in paint to use these products on professional drums. Amateur products produce amateur results..used professional paints and research more. Also certain paints like rustoleum aren’t designed for top coats and give of VOCs and other compounds.